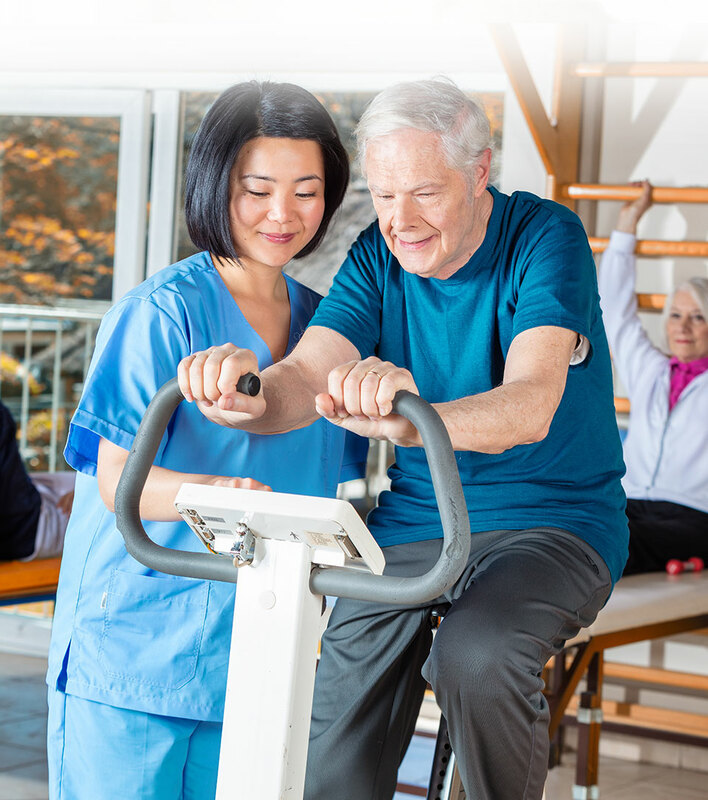 Plantation Manor Skilled Nursing and Rehabilitation Center is a comprehensive nursing care facility with a staff of qualified medical professionals who provide convalescent and extended care and rehabilitaion for those requiring continuing professional support and supervision. Skilled and intermediate nursing care are also available from our team of medical professionals. Plantation Manor is fully committed to providing for your wellness and care in the Skilled Nursing and Rehabilitation Center. This dedicated health care team has years of experience providing the kind of quality nursing care residents require. They will work with your attending physician to assist in your program of prescribed or rehabilitation. Physical therapy, occupational therapy, speech therapy and pharmacy services are also available as needed. Plantation Manor has a Special Care Unit dedicated to residents with the medical diagnosis of Alzheimer’s disease. It offers high nurse-to-patient ratio, and its Special Care Unit provides private and semi-private room accommodations with a separate lounge, dining, and activity area. Your progress is closely monitored by this team, and if your level of wellness increases, a move to our Assisted Living or to the Retirement Apartments is encouraged.